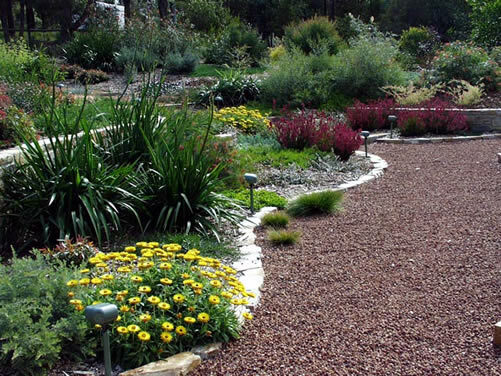 Inspired by Nature has been creating beautiful, individualised gardens in Australia and New Zealand since 2001. We actively listen to our clients needs, preferences and desires to create a landscape that not only expresses their personality, compliments their lifestyle, delights their senses, and fits their budget, but one that is also sensitive to the uniqueness of the site and environmental factors.At Inspired by Nature, we are as passionate about our clients needs as we are about our precious environment. While we design a garden according to each individual clients preferences, we do encourage the creation of habitats for birdlife and local fauna by using, wherever possible, local plants. Commercial, residential and horticultural practises impact on our environment and waterways. Our objective at Inspired by Nature is to minimise that impact by recommending safer, more natural methods for keeping gardens, and gardeners, healthy, and preventing damage to our precious waterways. We'd like our waterways to remain crystal clean for the benefit of not only our generation but future generations and our marine and birdlife too. All of our design and consultation packages are tailor made to suit our clients needs and budgets. We can either - assist the keen D.I.Y gardener with advice and sketches, or alternatively, we can provide clients with a detailed scale drawn plan, and we can recommend a suitable landscape construction firm to create your dream garden. At Inspired by Nature we can create a magnificent garden design, using any theme, anywhere in the world. Call us today to discuss your dream garden.